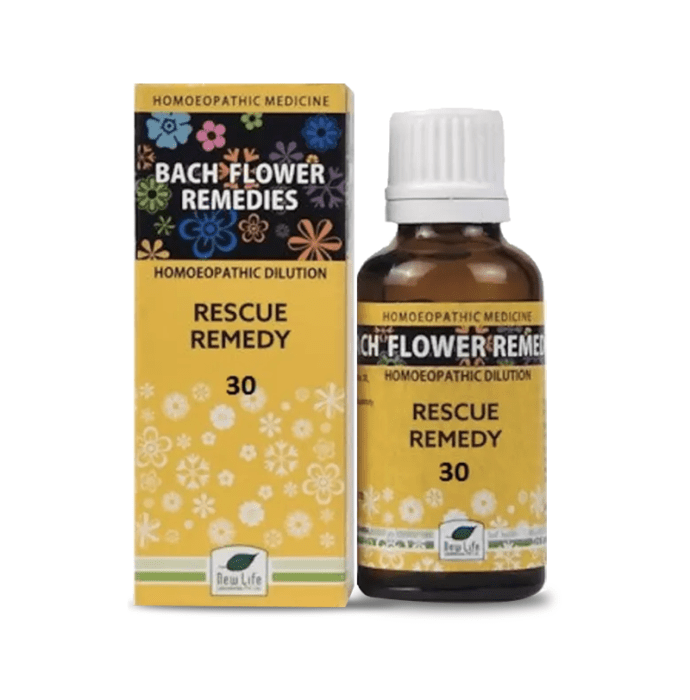 New Life Bach Flower Rescue Remedy 30 is a herbal remedy formulated to relieve stress and tension in the adults and cures stammering problem in the children. It soothes the nerves and helps to relax. This medicine helps to increase the concentration and works as a perfect cure for anxiety. It treats nervous breakdowns and is formulated for treatment of emergencies like panic attacks. Take ten drops of the medicine mixed with water thrice daily or as directed by the physician.